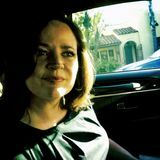 The staid pearl family has been infected by a bohemian spirit: Lustrous, misshapen blobs, colorful clusters, and twists of seed-size gems are a bad influence on the usual spare white strands. 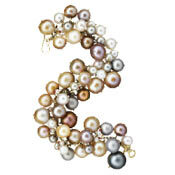 $32,000 Sixteen-inch South Sea baroque strand by Gabriella Kiss (Takashimaya; 212-350-0100). $11,500 Gurhan’s Comet ring has a 13.5-mm. 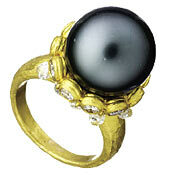 Tahitian pearl (Saks Fifth Avenue; 212-753-4000). 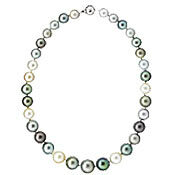 $10,000 Strand of 33 natural multicolored pearls (Camilla Dietz Bergeron; 212-794-9100). 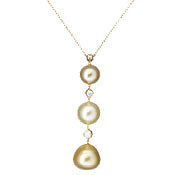 $3,700 Eighteen-karat-gold South Sea pearl necklace by Temple St. Clair (Saks Fifth Avenue; 212-753-4000). 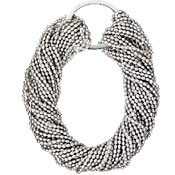 $4,800 Silver freshwater-pearl choker by Faraone Mennella (Bergdorf Goodman; 212-753-7300). 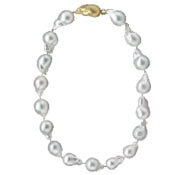 $4,950 Tahitian- and colored-pearl bracelet (De Vera; 212-625-0838). 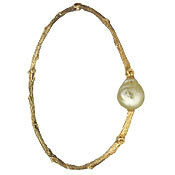 $1,100 Eighteen-karat-gold bangle with golden pearl by K. Brunini (Fragments; 212-334-9588). 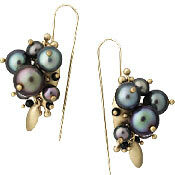 $500 Bug cluster earring, ten-karat-gold with black pearls (Ted Muehling; 212-431-3825). 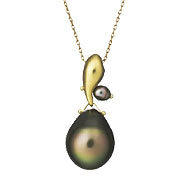 $1,500 Eighteen-karat-gold and Tahitian pearl on a comma bead (Tenthousandthings; 212-352-1333). 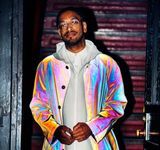 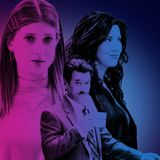 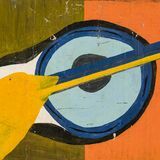 Table of Contents: May 9, 2005 issue of New York | Subscribe!